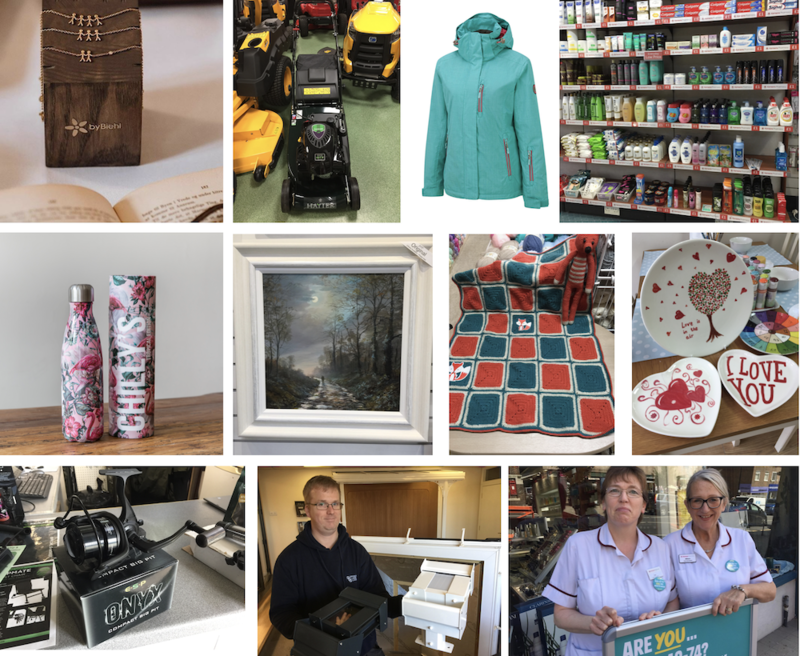 If you are wondering what’s new in Uckfield shops then this monthly feature is just what you need. Valentine’s Day gifts, water bottles, and lawn mowers – there’s something for everyone. 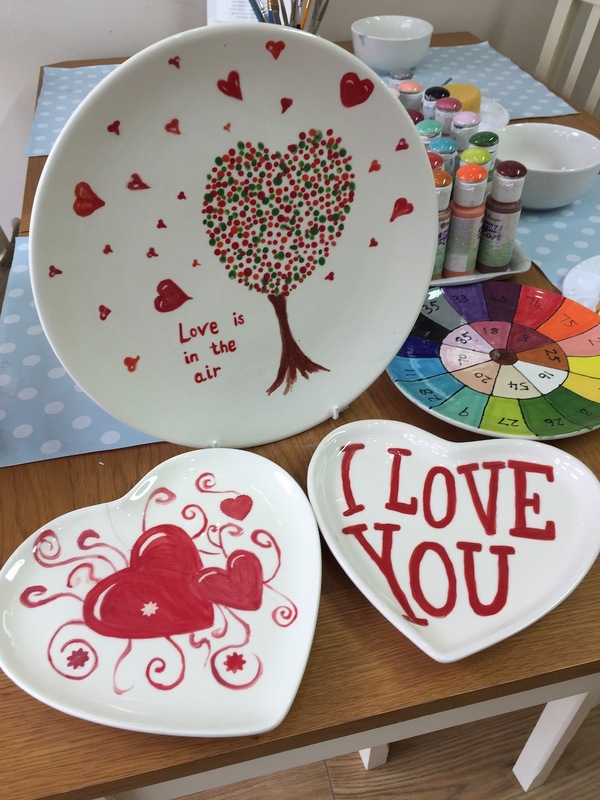 You can make your own personalised Valentine’s Day gift by decorating pottery at Kilnwood Studio which you will find at the top of Uckfield High Street. The last day for decorating which will enable your piece to be glazed and fired in time for the big day will be Saturday, February 9. See below some items which have already been decorated. Chance to decorate your own gift at Kilnwood Studio for that special person. Hand-decorated tiles for sale at Kilnwood Studio. Tomorrow (Saturday) is the last day of a sale at Chapter Three and then spring stock will be filtering in. The first of the big deliveries will arrive next week, says Kay Bevan, bringing more colour to the shop in clothing, accessories and jewellery. Transitional-wear will be displayed first, finer knits, and cotton knits. There are still a lot of animal prints around but this time with more colour in them. Neon is a popular colour too. Just one more week of the Cole’s sale remains too. Saturday, February 9, is the last day and there are still big discounts to be found on knitwear, trousers, jackets, suits, shirts, T-shirts, polo shirts, and shoes. Spring and summer ranges are arriving daily at Cole’s now. A sofa sale is under way at SG Home Interiors in Bell Farm Lane, Uckfield. 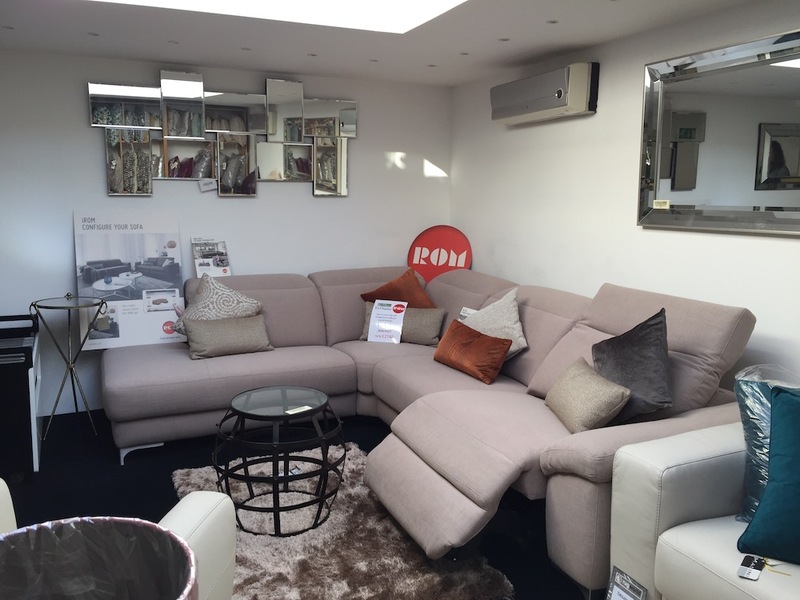 Big savings are offered on ex-display models and if you are struggling to find your perfect sofa you are welcome call into the store and use their innovative ROM app to design and customise your own. Don’t forget SG Home Interiors also design and fit kitchens, bathrooms, and bedrooms. One of the ex-display sofas available at knock-down prices at SG Home Interiors. New verandas are available at Superior Glass. They are made from aluminium with single or double glass units. They can be built in a variety of sizes, the one below is The Simplicity but the same system can be used to build a car port too. The Simplicity, a new veranda available at Superior Glass. Jake Franks holds models showing how glass panels fit into the roof of a new-style veranda available at Superior Glass. 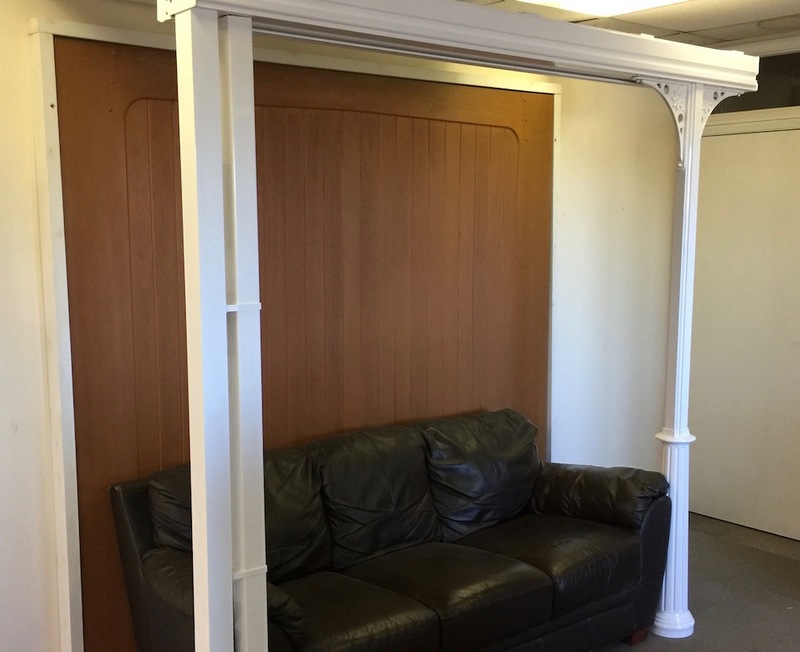 A new range of interior flat-packed furniture is due to arrive at Green DIY this month and displays are currently being moved to accommodate it. Look out for hand tools that are now displayed according to the type of product rather than brand. If you are looking for a Stanley-type knife you will find them grouped together at different prices. Hand tools at Green DIY – now grouped by product rather than brand. A wide range of Hozelock products are in store with hoses in cassettes, with wall mountings, electric-powered or simply on their own. There are Hozelock irrigation systems too for greenhouse, border or even your house plants – ideal for when you are going away. Hoses galore at Green DIY, in cassettes, on reels or powered. Hozelock irrigation systems at Green DIY. Next door to Green DIY new reels have arrived at Hooked on Green. Brand manager of the two stores Robin Eden is particularly impressed by a new compact carp reel from ESP. He said it is designed to be lighter without compromising features and is great value. New at Hooked on Green, a compact carp reel. Robin also pointed out a new Karpmate guest chair – ideal if you are expecting a visitor while out carp fishing. A Karpmate guest chair, new at Hooked on Green. Carvills is looking forward to spring with lots of new stock arriving for February. One of the things you will find there is the Chilly’s Bottle, a modern and stylish product designed to keep your drinks cold for 24 hours, or your tea and coffee hot for up to 12 hours. Chilly’s Bottles – designed to keep your drinks hot or cold. It is described as being leak proof, made of quality materials and BPA free. Packaging is made from recycled material and is itself recyclable. 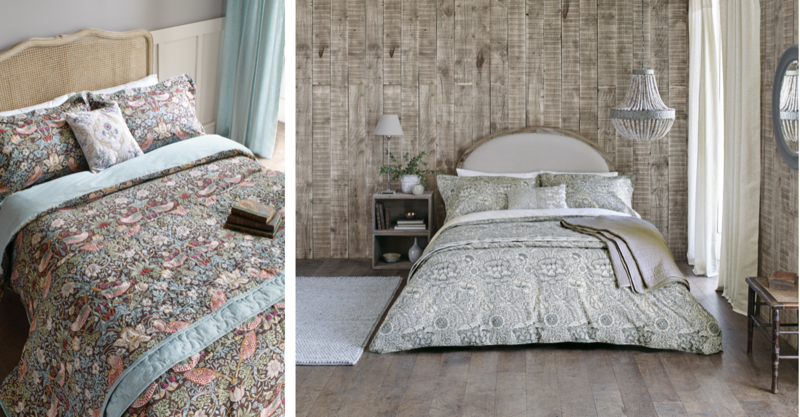 New bedding has arrived at Carvills too with designs including Morris & Co, Harlequin, Clarissa Hulse, Scion, Joules & Helena Springfield. Strawberry Thief is one of William Morris’s most popular designs and this has been re-coloured in a brown and ducked reverse. Wandle is a new edition to the collection – it is a Morris print firsts produced in 1884 but now re-coloured in the Pure Morris colour palette. You can treat your feet too with fun new designs from the Bamboo sock collection which is designed to let your feet breathe and relax while looking good. They have anti-bacterial and anti-fungal properties and come in designs for men and women. 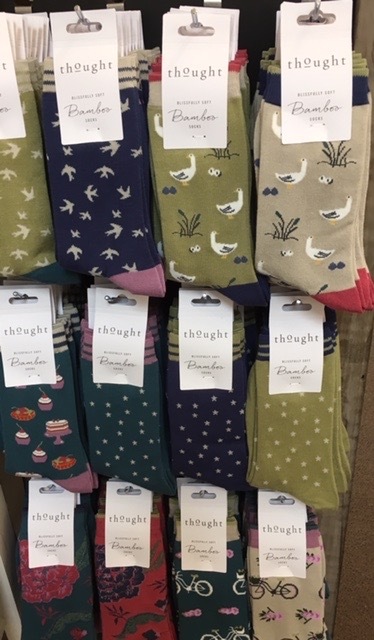 Treat your feet to Bamboo socks available at Carvills. 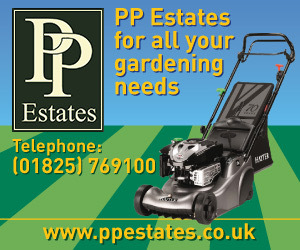 PP Estates is gearing up for the grass cutting season with a wide range of garden tractors and other mowers available. 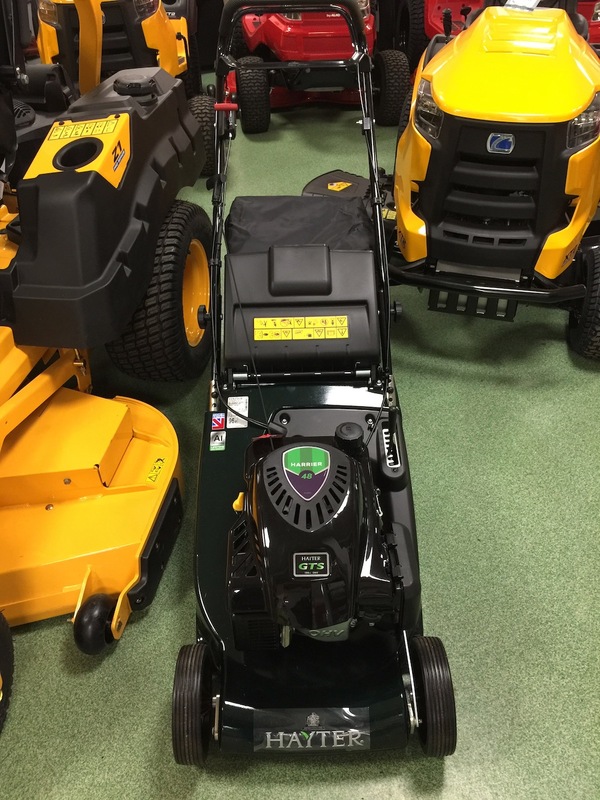 The first redesigned Hayter Harrier lawn mower arrived at PP Estates this week and the rest will follow in the next week or so. The machines will be available in 19 and 22 inch versions. 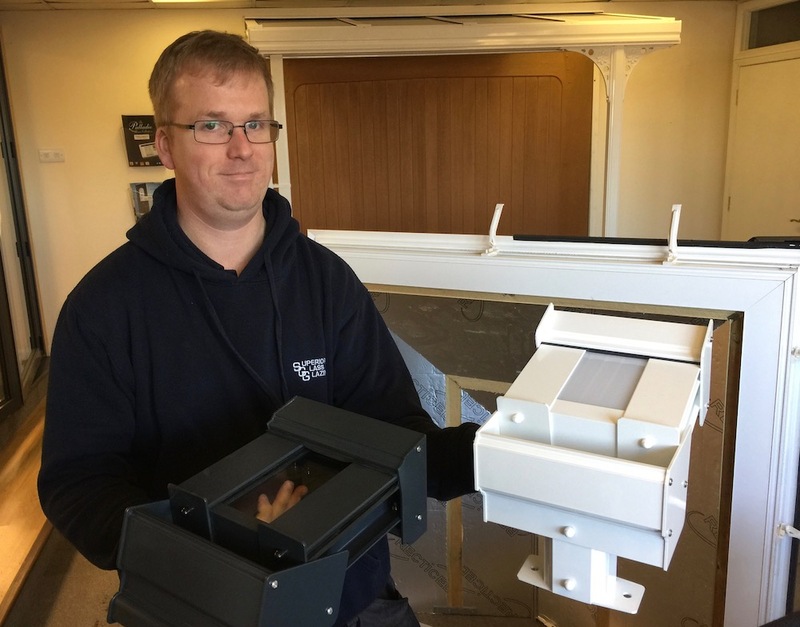 Business owner Philip Eves said the Hayter Harrier was traditionally their biggest selling machine and the redesigned model incorporates improvements so he was pleased to have it in stock. The new Hayter Harrier lawn mower at PP Estates. 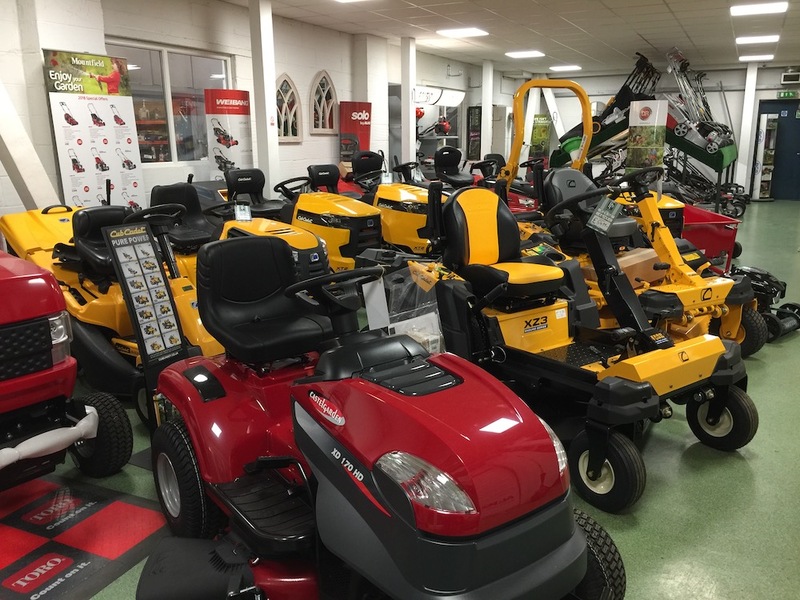 Plenty of garden tractors and other mowers in stock at PP Estates ready for the grass cutting season. Camel, yak, alpaca and mohair wools should arrive at Sew n Sew, with patterns, next week. Andy Coppins who runs the shop with his wife Dawn said there have been requests for the wool so they are pleased to be getting them in. 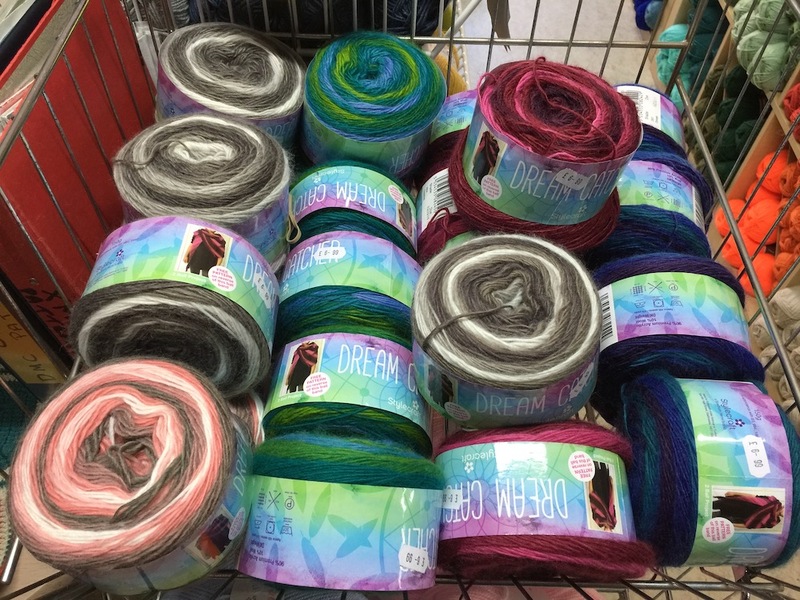 Other new wools have already arrived including colourful double-knit Dream Catcher. Dream Catcher double-knit wool at Sew n Sew. 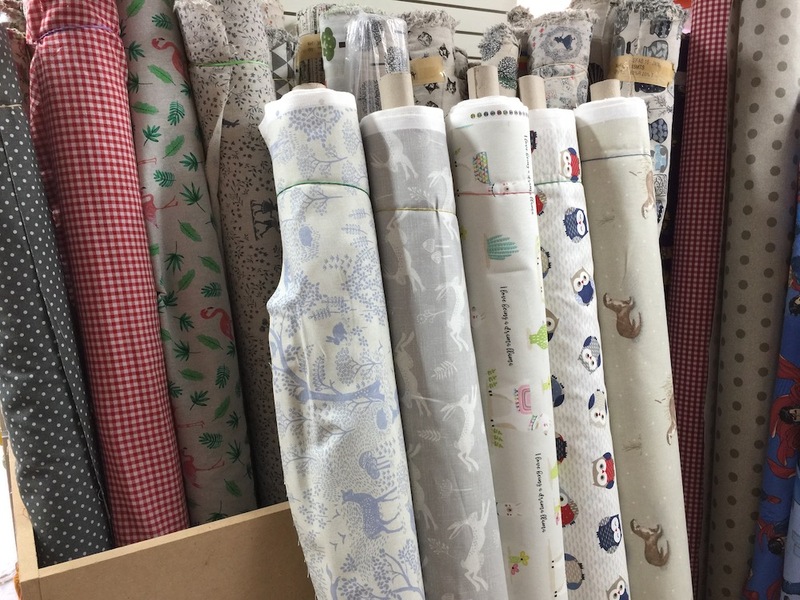 New fabrics with a wildlife theme have arrived at Sew n Sew too. There are hares, deer, owls and otters among them. New fabrics at Sew n Sew. Have you spotted that Sew n Sew is organising crochet lessons? Lessons are available on a Thursday over four weeks with the course costing £40. You will first learn how to crochet a granny square and lead up to making a blanket. You will also learn how to read a pattern. 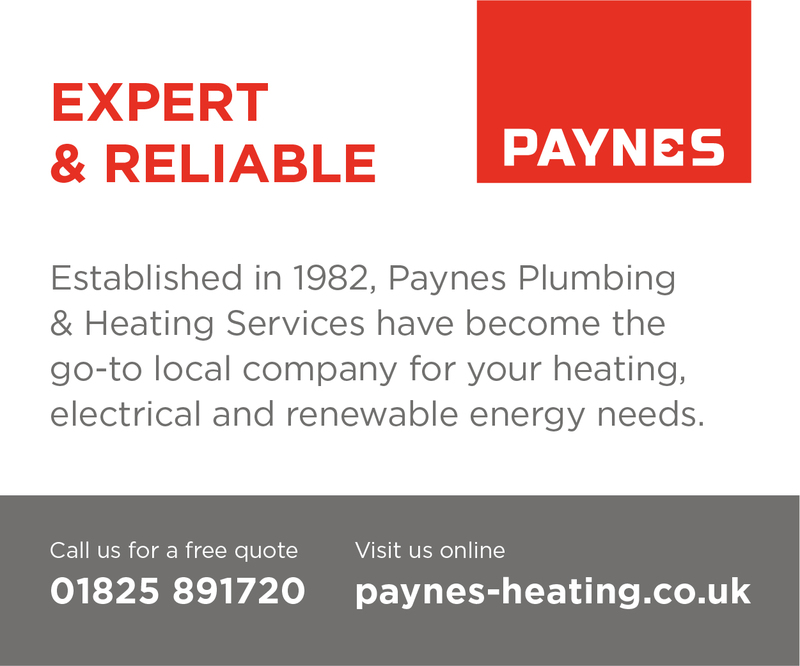 If you would like to know more please call in at the shop, where you can book your place on a course. Party plan classes are also available to be run in your own home if you have at least three people interested in being involved. Those classes are £50 a head for four weeks. This is the sort of blanket you could learn to make with crochet lessons at Sew n Sew. 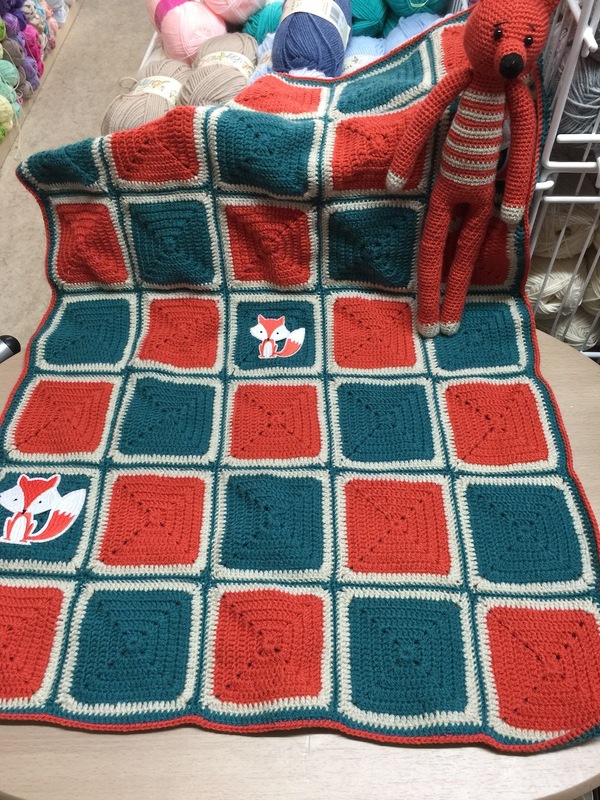 The pram blanket was made with a fox theme. If you are looking for Valentine’s Day gifts make sure to pop into the Chestnut Tree children’s hospice charity shop. Manager Fizz Dean says the shop will soon be selling new goods, as well as pre-owned. PipeDreams snow, surf, and skate shop is gearing up to be ready for February half term ski trips. There is still time to hire jackets, trousers, and helmets for your holiday. Julie Hobbs, who runs the business with her husband David, says they are looking forward to the rest of winter but spring clothing will be arriving there too over the next few weeks. She urged people to shop locally and use Uckfield High Street. 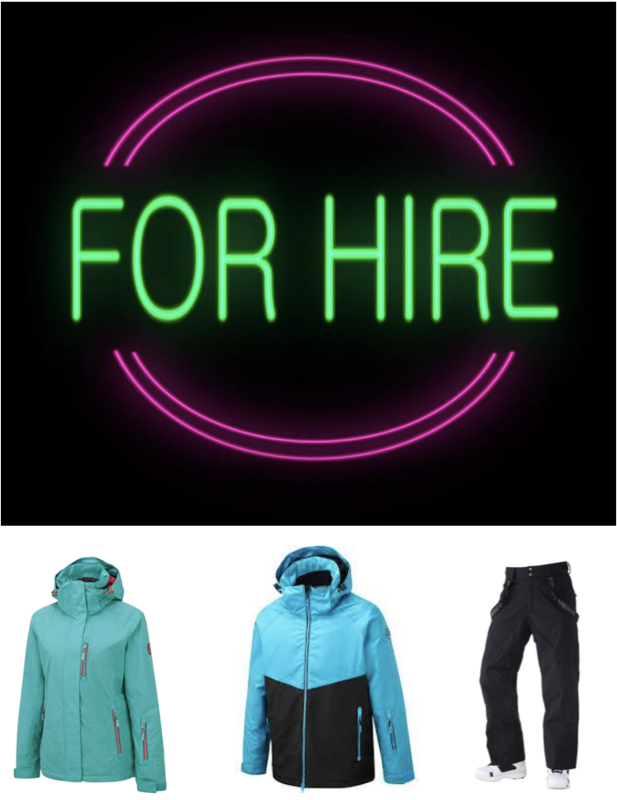 Examples of ski clothing for hire at PipeDreams, a woman’s jacket, and man’s jacket, and man’s trousers. Don’t forget Final Score has the clothing, footwear and accessories you need for your sporting activity. It is ready for snow too with plenty of sledges in stock. Sledges are available at Final Score – just in case it snows. 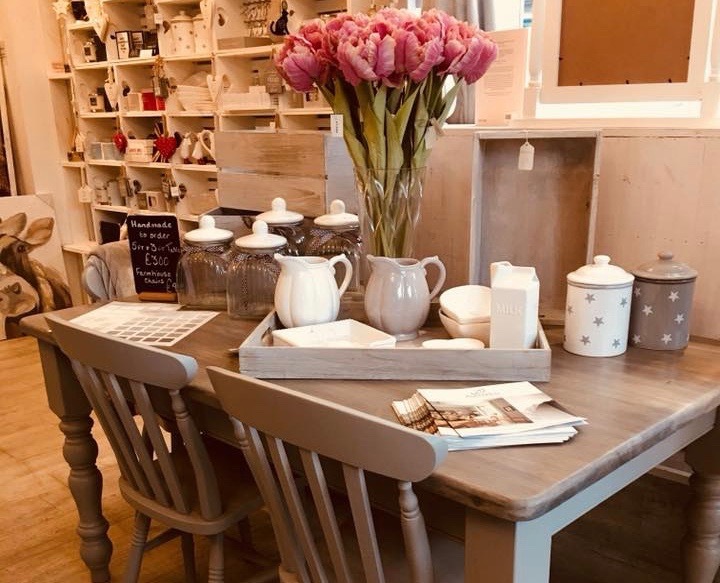 Uckfield shop Josefina is organising a furniture painting workshop. It will be held on Saturday, March 16, from 10am until 2pm. 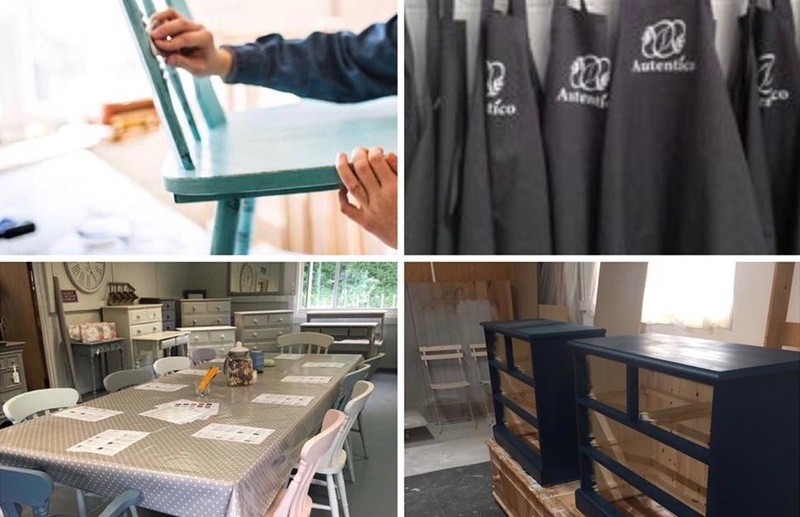 You will learn how to transform you furniture using Authentic products and get to complete your own piece, as well as a practice board. 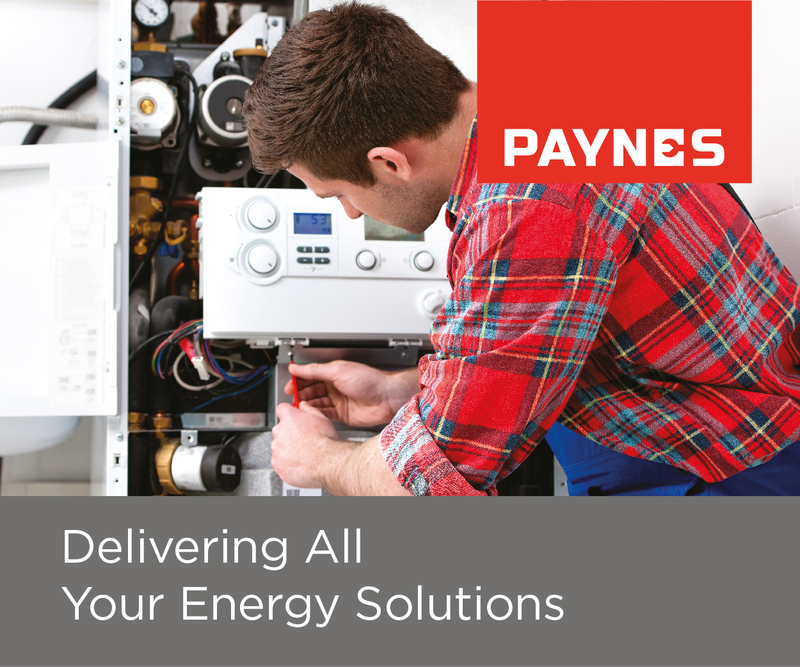 Find out more about the workshop by calling 01825 768200. Furniture painting workshop at Josefina. In the Josefina shop itself lots of new stock has arrived with some available on the ‘new in this week page’ of the Josefina website. A glimpse inside Josefina where there’s lots of new stock to browse. Have you had a free NHS health check yet? Kamsons Pharmacy offers them at its premises in Uckfield High Street and in Bell Farm Road. The checks, which are also on offer in GP surgeries, help to spot early signs of high blood pressure, heart disease, or diabetes. They are available for adults aged 40-74 and you are welcome to call in at Kamsons in Bell Farm Lane any time from Monday to Friday, after 10am, where Pat Wickson will be able to carry out your health check. Checks are carried out in the High Street pharmacy, by Allison De Bolla, mainly on Fridays from 9am to 5pm, but appointments can be made at other times too. 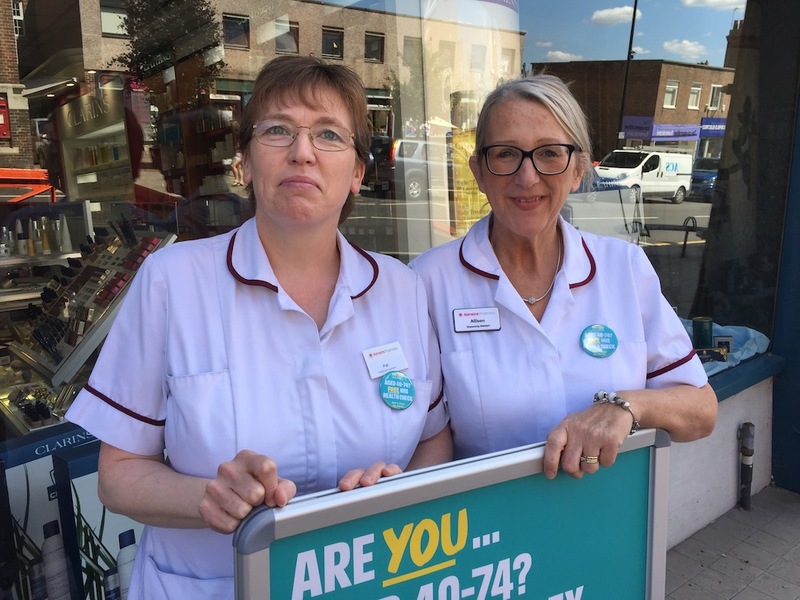 Pat Wickson and Allison De Bolla who carry out free NHS health checks at Kamsons Pharmacies in Uckfield High Street, and in Bell Farm Road. Have you spotted Kamsons Pharmacy in Uckfield High Street has a selection of goods available for £1? The range has recently been increased. You can see examples in our picture below. The work of new artists can now be seen at the Diane Hutt Gallery including from Ric Duffield and Kara Strachan, see below. Two new pieces especially for Valentine’s Day from Sam Toft are available too. Works by Kara Strachan, a new artist to the Diane Hutt Gallery. The sea scene is currently in the gallery window. Work by Ric Duffield, also new to the Diane Hutt Gallery. 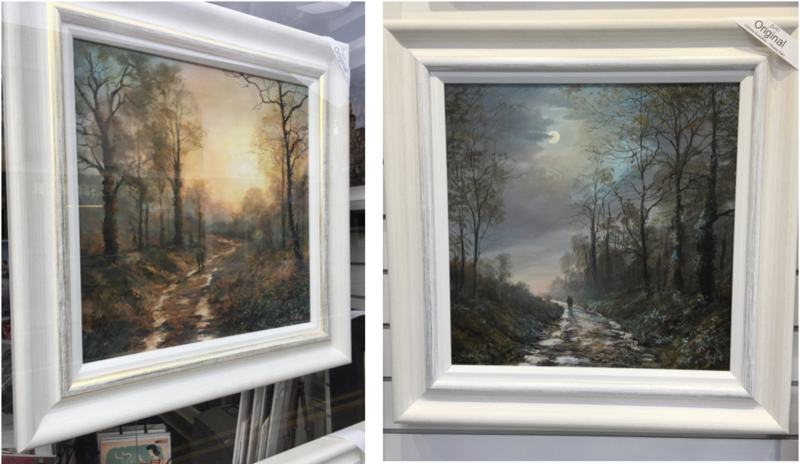 The picture on the left is currently in the gallery window. A huge variety of summer flowering bulbs and seed potatoes are now available at Staverton Nursery. 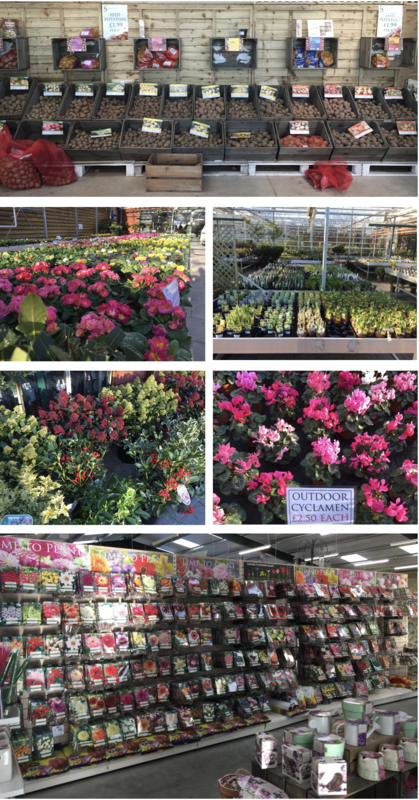 There are also potted spring bulbs, primroses, cyclamen, and lots of winter/spring flowering shrubs, such as Skimmias, Cornus, Hamamelis and Viburnum. 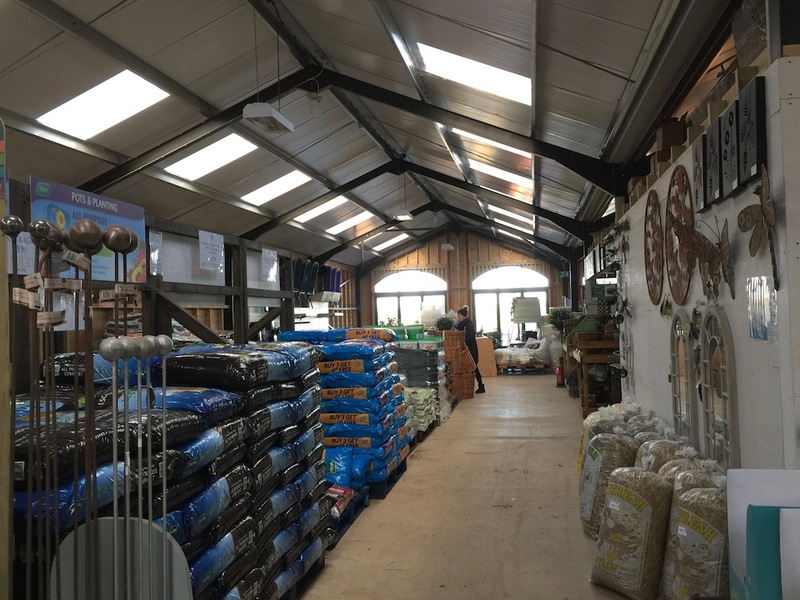 Work has begun on extending the retail barn at Staverton’s. See the frame taking shape below. Once that is done attention will turn to creating a coffee shop at the front of the site. 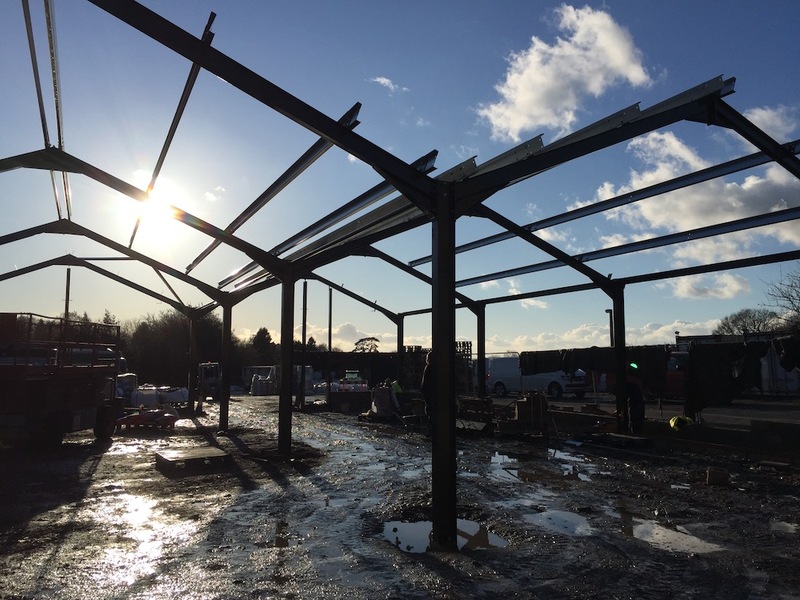 The frame of a new retail area at Staverton Nursery is taking shape. This is where a coffee shop will eventually be created at Staverton Nursery. New mains, burgers and salad are on the menu at Hartfields. Mexican Hash, with sautés potatoes, peppers, chilli, onion, avocado, mixed beans and fried egg. Chorizo is optional. Asian Veg Stir Fry, with rice noodles, sweet chilli marinated Tofu. Tiger prawns can be added too. Coronation Chicken Flatbread with marinated chicken breast, herby salad, and mango chutney. Two new burgers are Blue Cheese and Confit Red Onion (with 100% chuck steak and rocket); and Lamb Burger with mint mayo, cos and cucumber. The new salad is Halloumi, Chickpea and Avocado Super Salad with carrot and courgette ribbons, sunflower seeds and peppers. Lunch specials include Rhubarb, Banana and Ginger Smoothie to drink, light bites of Baked Feta and Sun-dried Tomato Flat Mushroom, and Smoked Salmon and Prawn Fishcakes with mixed salad, and lemon mayo. Mains are Broccoli, Spring Onion and Chilli Fritter Stack, Crispy Duck Wrap and Smoked Salmon and Dill Cream Cheese Toasted Bagel. Check out the Valentine theme in the windows at W.E. Clark & Son jewellers and look out for a Valentine’s Day giveaway which will be promoted via the shop’s Facebook page. Valentine windows at W.E. Clark & Son jewellers in Uckfield High Street. New stock has arrived from from popular brands including Kit Heath, Unique & Co, Swatch and Jersey Pearl. A new brand is to be introduced too called ‘By Biehl’ which should be launching within the next two weeks. It is a Danish sterling silver brand inspired by friendship, love and travel. 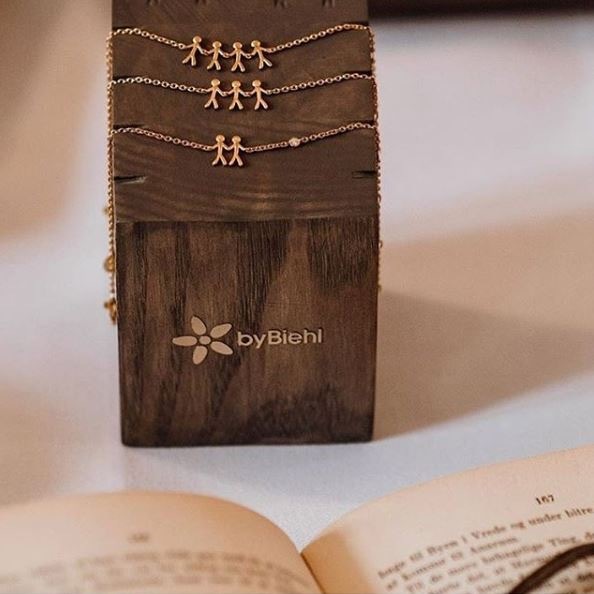 By Biehl a new Danish jewellery brand at W.E. Clark & Son in Uckfield.